Trying to convince the prototypical indie-rocker to digest a bit of country music has typically proven to be as successful as getting Michael Bay to make a movie without a single explosion. It’s probably not going to happen. But, when a band can bridge this seemingly insurmountable gap, it’s a thing of beauty. Wilco does it, Connor Oberst does it, and there’s no question that Providence, RI’s Deer Tick can do it. The twangy, three-chord maestros have already detailed their latest album, Divine Providence, due October 25th release via Partisan Records. Now, the band has also readied a lengthy fall tour to support this latest release which, much like Deer Tick’s music, cuts right through the heart of the country with a laid back charm that intertwines both coasts into one slice of Americana. Listed below are the dates for the upcoming tour. 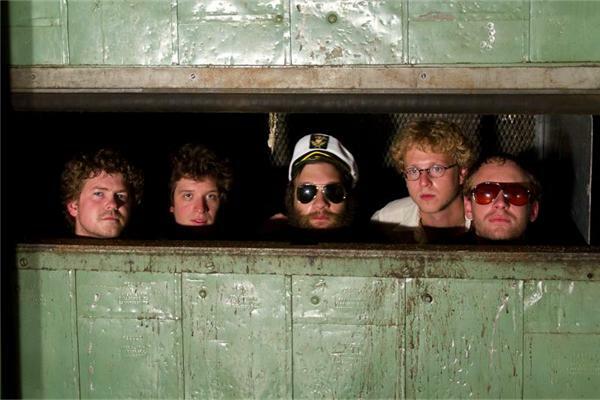 And, if you’ve never heard Deer Tick before (which would truly be a shame), take three minutes out of your day, and listen to “Art Isn’t Real (City of Sin)” from their 2007 album War Elephant (which is absolutely essential listening).